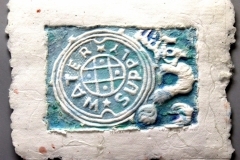 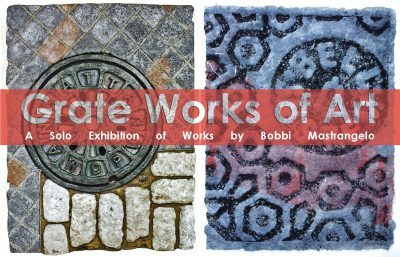 The solo exhibition will be on display March 8 – April 27, 2019. 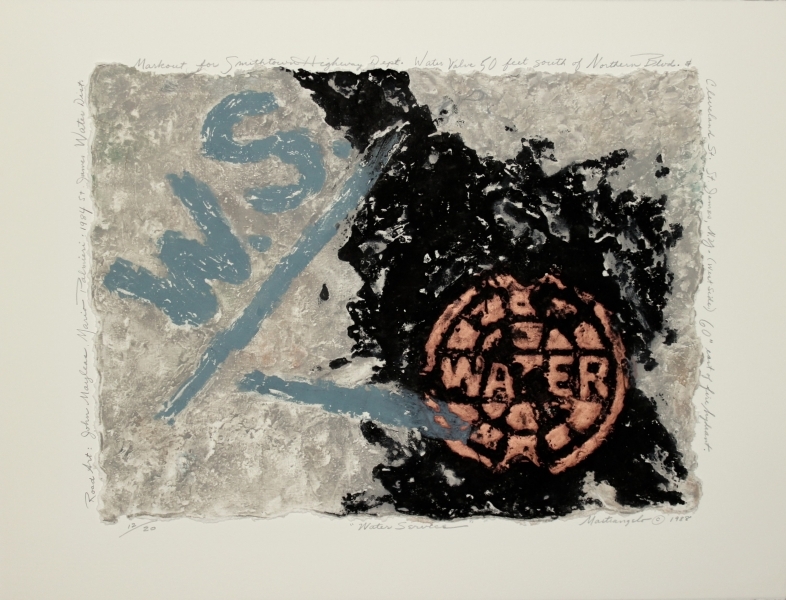 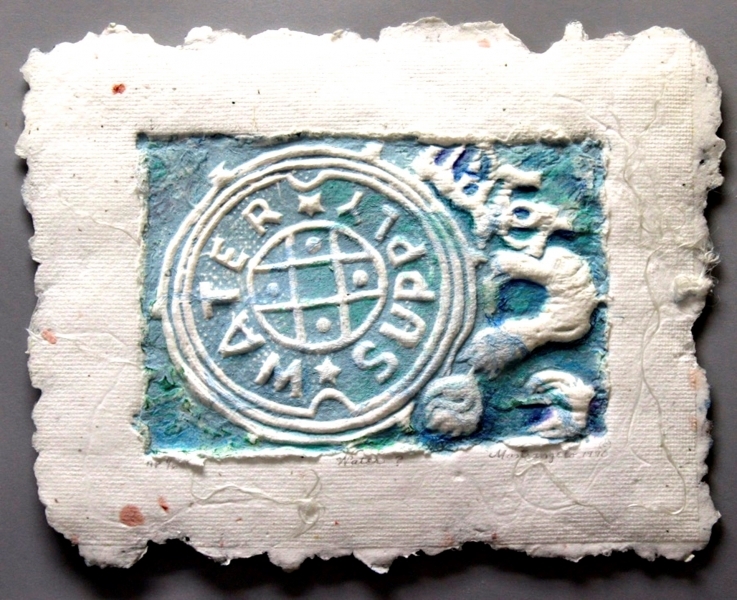 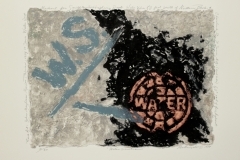 Bobbi Mastrangelo is an artist specializing in relief sculpture, mixed media, and embossed prints on handmade paper. 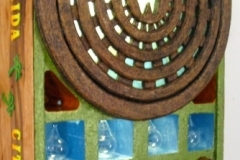 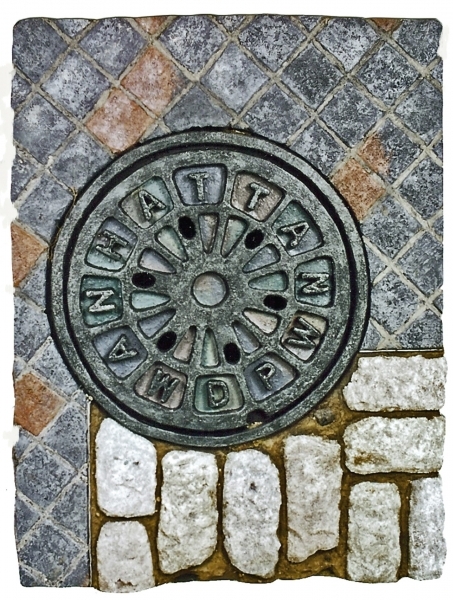 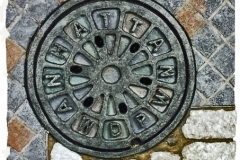 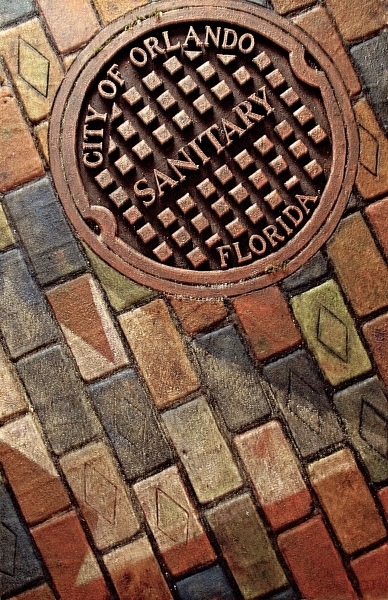 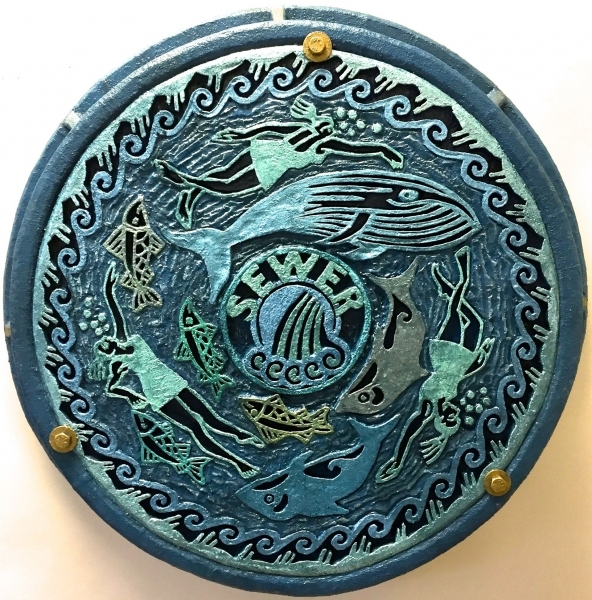 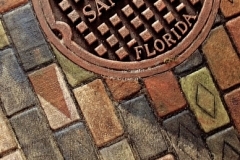 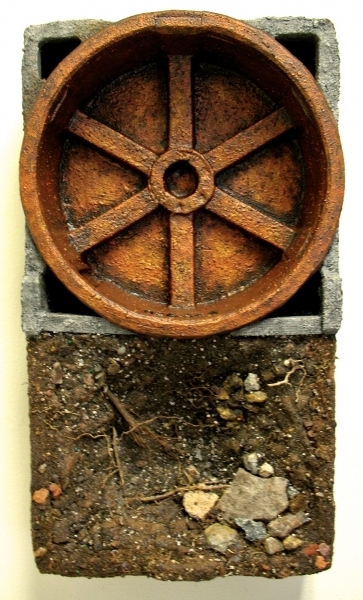 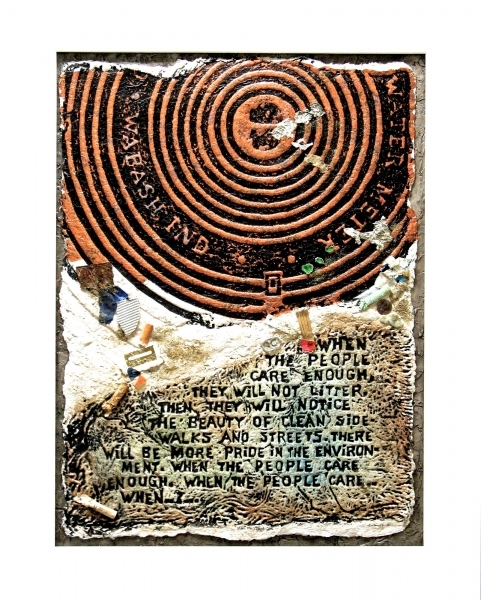 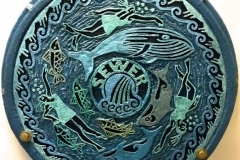 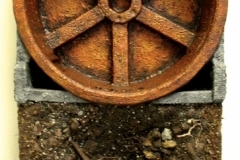 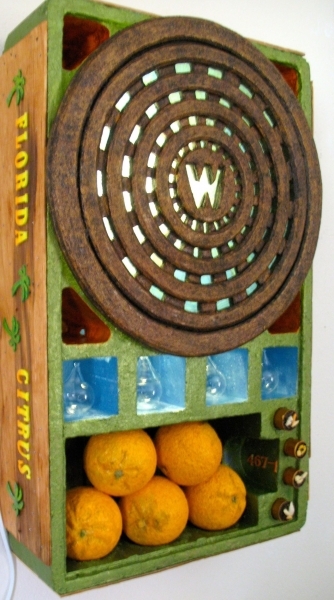 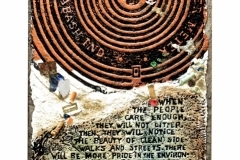 Her work is best known for its unusual focus on the theme of manhole covers and water covers, grates and drains called “Grate Works of Art.” Her art has been exhibited widely.